GEO recognizes that the societal benefits arising from Earth observations can only be fully achieved through the sharing of data, information, knowledge, products and services. Ever since its inception, GEO has been a strong advocate for broad and open data-sharing policies and practices. The Data Sharing Principles (2005-2015) inspired a few Members and Participating Organizations to evolve from restricted data policies to Open Data approaches. Data sharing was also recognized as one of the greatest successes of the first GEO decade. Embracing the international trend of Open Data, GEO Principals endorsed a new set of Data Sharing Principles, which promote ‘Open Data by Default’, in Mexico City at the dawn of the second decade of GEO (2016-2025). Full implementation of the revised GEOSS Data Sharing Principles continues as an essential step towards maximizing the net societal and economic benefits of the global investment by GEO Members and Participating Organizations in building GEOSS. Ministers in the GEO community have committed in the Mexico City Declaration to Reaffirm support for GEO’s Data Sharing Principles, and the expansion of standards-based open access to data, information and knowledge. Resolve to pursue the implementation of the GEO Data Sharing and Data Management Principles to the extent permitted by national laws and policies. Acknowledge the contribution of national and international open data initiatives in accordance with GEO Data Sharing Principles. Call upon the global Earth observations community to make, to the largest extent possible, Earth observation data available and accessible through the GEOSS. Welcome the adoption of the International Open Data Charter and call for the exploration of coordination between GEO and the Charter. Despite broad recognition and acceptance of the GEOSS Data Sharing Principles, still less than 50 percent of GEO Member governments have established national Open Data regulations/policies to enable agencies to share Earth observation datasets nationally, regionally and internationally. Various data providers still have the perception that the implementation of the Open Data policy could pose challenges to their development, resulting in limited revenue, in particular as payments for reuse are not consistent with the Principle ‘at no more than the cost of reproduction and distribution’. Many providers cannot see a clear articulation of a new business model linked to the adoption of Data Sharing Principles. Another challenge is life-cycle data management. Even with a legal framework and social willingness to share data, lack of knowledge about data management schemes and tools leads to unusable or unsustainable datasets from which decision-makers cannot benefit. Engage with the broader global open data community. Data, metadata and products will be shared as Open Data by default, by making them available as part of the GEOSS Data Collection of Open Resources for Everyone (Data-CORE) without charge or restrictions on reuse, subject to the conditions of registration and attribution when the data are reused. Where international instruments, national policies or legislation preclude the sharing of data as Open Data, data should be made available with minimal restrictions on use and at no more than the cost of reproduction and distribution. How to implement GEOSS Data Sharing Principles? How to provide open Earth observation data? Please find Legal Mechanisms to Share Data as Part of GEOSS Data-CORE. Voluntary waivers and standard common-use licenses are recommends. To further maximize the value and benefit from data sharing, GEO will continue to work with partners to promote the use of key GEOSS Data Management Principles, including the need for common standards and interoperability arrangements. This will ensure that data and information of different origin and type are comparable and compatible, facilitating their integration into models and the development of applications to derive decision support tools. GEO therefore strives to promote and encourage the implementation of GEOSS Data Management Principles laid out below under five headings: discoverability, accessibility, usability, preservation, and curation. DMP-1. Data and all associated metadata will be discoverable through catalogues and search engines, and data access and use conditions, including licenses, will be clearly indicated. DMP-2. Data will be accessible via online services, including, at minimum, direct download but preferably user-customizable services for visualization and computation. DMP-3. Data will be structured using encodings that are widely accepted in the target user community and aligned with organizational needs and observing methods, with preference given to non-proprietary international standards. DMP-4. Data will be comprehensively documented, including all elements necessary to access, use, understand, and process, preferably via formal structured metadata based on international or community-approved standards. To the extent possible, data will also be described in peer reviewed publications referenced in the metadata record. DMP-5. Data will include provenance metadata indicating the origin and processing history of raw observations and derived products, to ensure full traceability of the product chain. DMP-6. Data will be quality-controlled and the results of quality control shall be indicated in metadata; data made available in advance of quality control will be flagged in metadata as unchecked. DMP-7. Data will be protected from loss and preserved for future use; preservation planning will be for the long term and include guidelines for loss prevention, retention schedules, and disposal or transfer procedures. DMP-8. Data and associated metadata held in data management systems will be periodically verified to ensure integrity, authenticity and readability. DMP-9. Data will be managed to perform corrections and updates in accordance with reviews, and to enable reprocessing as appropriate; where applicable this shall follow established and agreed procedures. DMP-10. Data will be assigned appropriate unique, persistent, resolvable identifiers to enable documents to cite the data on which they are based and to enable data providers to receive acknowledgement of use of their data. How to exercise life-cycle data management? Please find Data Management Implementation Guidelines (in draft), which explains the Data Management Principles, guidance on implementation (with examples) and metrics to measure level of adherence to the Principles. How to ensure data quality? Please find GEOSS Data Quality Guidelines. Open Earth observation data brings a multitude of environmental and economic benefits. Opportunities from open data include supporting broad economic benefits and growth, enhancing social welfare, growing research and innovation opportunities, facilitating knowledge sharing among a new generation of scientists and effective governance and policy making. Have a case to contribute? Please send it to wchu@geosec.org using the template. 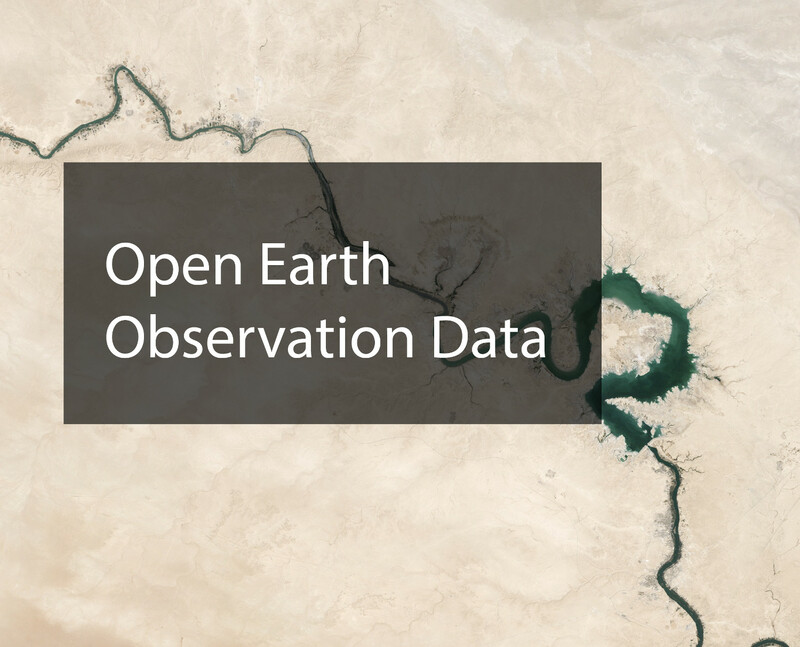 Find more in the Value of open Earth observation data report.